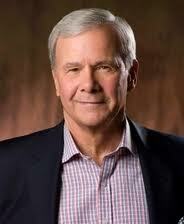 Tom Brokaw said politics ain’t beanbag at the 2016 Iowa Caucus on NBC TV. It is response to politicians who complain about the rough and tumble of the campaign trail, below-the-belt shots from their opponents or unfair treatment from the media. Source: Political words have the power to confound, obscure, and even inspire. Taegan Goddard's Political Dictionary takes apart the language of politics to uncover its deeper meanings and broader significance.